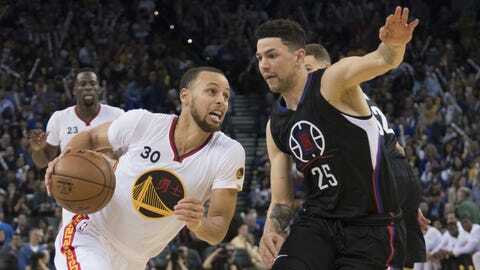 The Golden State Warriors travel to Staples Center tonight to face the LA Clippers after utterly demolishing them on Saturday. 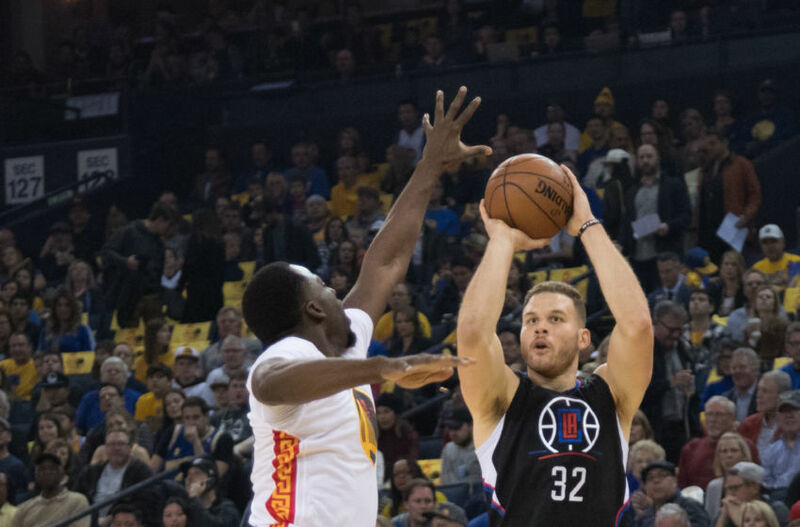 This time around, Blake Griffin needs to perform at an elite level for the Clippers to have a chance. The Clippers, coming off of a 124-114 victory against the Suns, prepare for their second game of a back-to-back. Blake Griffin scored 29 points while Raymond Felton added 18 . DeAndre Jordan was ejected in the 3rd quarter after a Flagrant 2 was called. The Clippers are 4th in the West with a record of 31-18. So, Saturday still stings. The Clippers, in their worst loss of the season, couldn’t stop Golden State. The Warriors rained down bucket after bucket and Stephen Curry sprinted laps around the court. Needless to say, it was the last sight fans or players wanted to see. The Clippers gave up 144 points while allowing Golden State to do whatever they wanted. At this point, fans around the NBA question whether there’s even a rivalry between the two teams, due to the Warriors dominance. For Thursday, the team looks to send out the same starting lineup. The absence of Chris Paul will definitely still be felt, but expect Austin Rivers to have an improved game after going only 3 for 11 from the field in their last match-up. DJ also needs to show some improvement after only nabbing 5 rebounds Saturday and being ejected Wednesday. Related Story: Will DeAndre Jordan do the Dunk Contest? However, for the Clippers to win, Blake Griffin needs to be assertive early. In Phoenix last night, Griffin had 13 points in the first quarter. He continued his tear into the second half, finishing with 29 points, which tied a season high. He also grabbed 8 rebounds and dished out 5 assists while providing several highlight plays. Blake desperately needs to keep this momentum going. 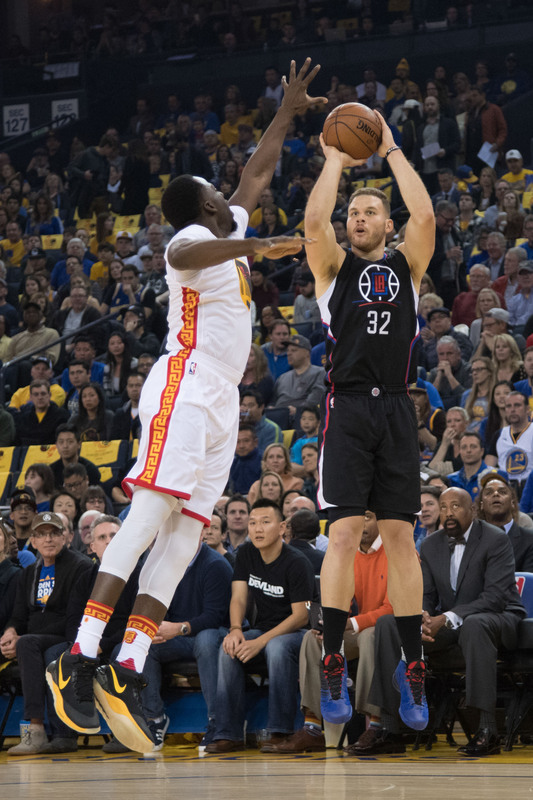 If he can keep the pressure on Draymond Green and possibly get him into foul trouble, it will open up room for other Clippers’ players to score. Not only does the aggressiveness need to come in the form of scoring, but he also has to try and be the primary play-maker. For as well as Austin has been playing, Blake should still be the top choice to initiate plays. A 4 man running the offense isn’t a common occurrence (yet) and can cause confusion among defenses. The 2 man game between Blake and J.J. Redick is deadly when run correctly. If the two of them can both heat up early, the Clips have a greater chance at pulling out a victory. If Blake isn’t aggressive early, expect another long night for the Clippers and some post-game mocking from the TNT crew.